A few different Charoite cabochons, available in different shapes and sizes. 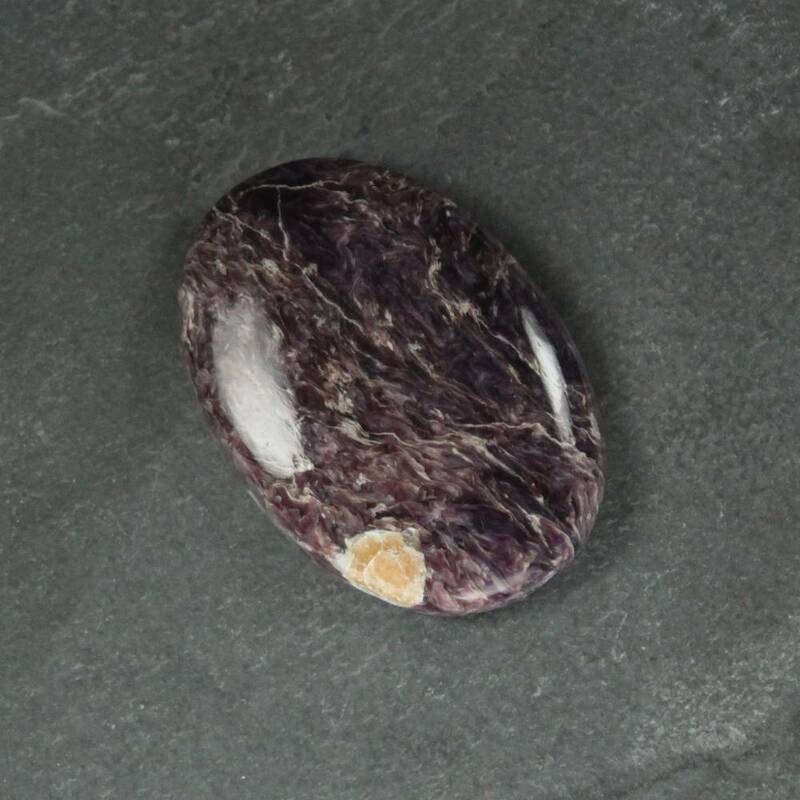 Interesting little purple Charoite cabochons! These aren’t the brightest grade of the stone, but I’d be surprised to see better at this price point. Our current stock is shown below, including shapes and sizes (in millimetres). We can also order in calibrated cabochons, but unfortunately they are far more expensive than the freeforms. However, we can offer these at lower rates if you need more than five – please contact us for pricing. Want to learn more about Charoite? We do have a Chaorite section, selling a few related products. We do also sell a wide range of gemstone and semi precious cabochons.